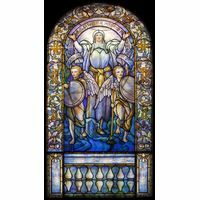 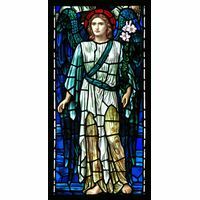 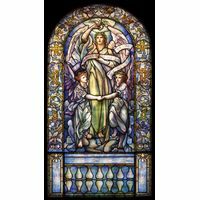 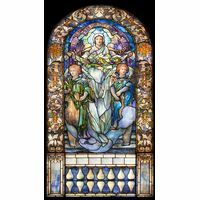 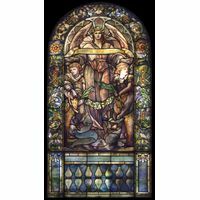 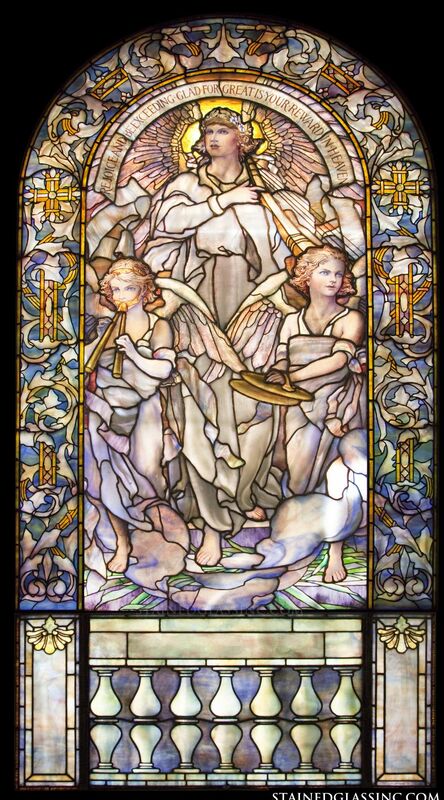 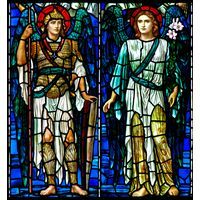 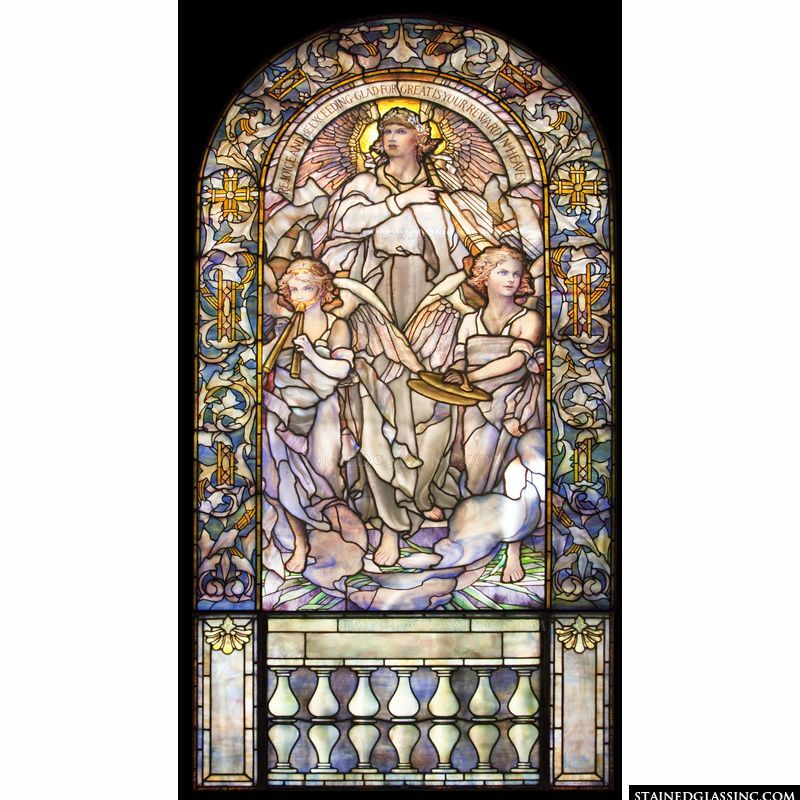 Three glorious angels play beautiful music for the Lord in this Tiffany style stained glass window panel. 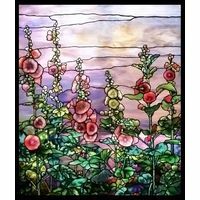 This is a model for variegated colors that provides an incredible depth of talent to produce such ethereal beauty as found in this stained glass panel. 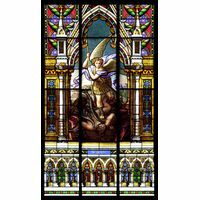 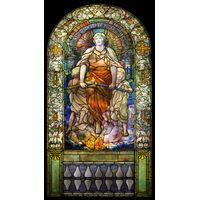 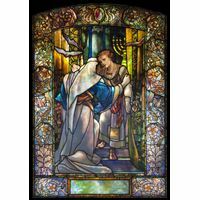 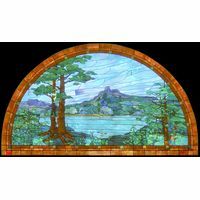 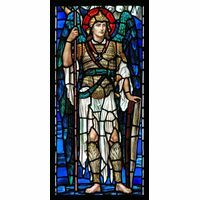 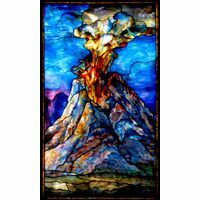 The stained glass insert or panel for windows, doors, hangings and screens is highlighted by a meticulous attention to detail, expressionism, and intricate patterns. 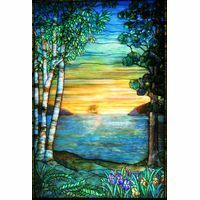 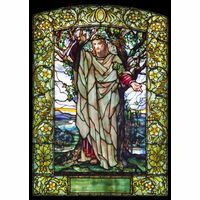 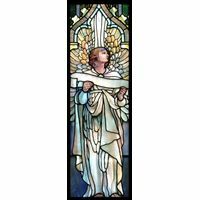 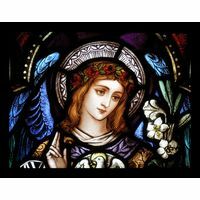 It is a wondrous stained glass design for a chapel, church, or home.